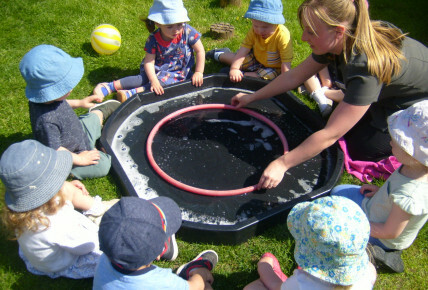 The Children in Toddlers have had wonderful fun experimenting with bubbles outside in the garden. The children sat together and used a tuft spot and small Hula Hoop to stand inside of a giant bubble. As you can see, the children had a wonderful time with Zoe and Laura, in this most exciting activity!